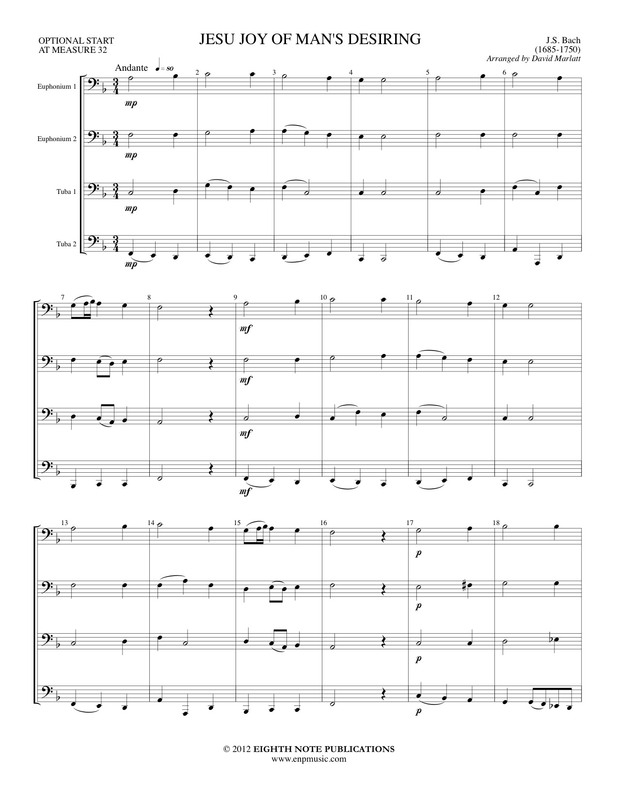 This very popular piece has been arranged many times for various instruments. It has been adapted here for 2 euphoniums, 2 tubas. The chorale is played before the popular triple metre theme. All voices pass the weaving line between them and the chorale is stated above it.